Sleeping quarters measure 16 square feet x 6 feet high - very spacious. 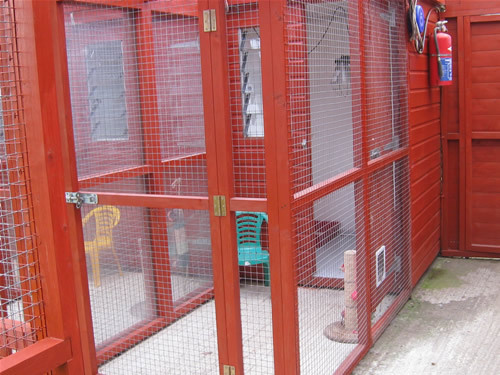 Attached enclosed run - 24 square feet so the cats can stretch their legs and get some fresh air. 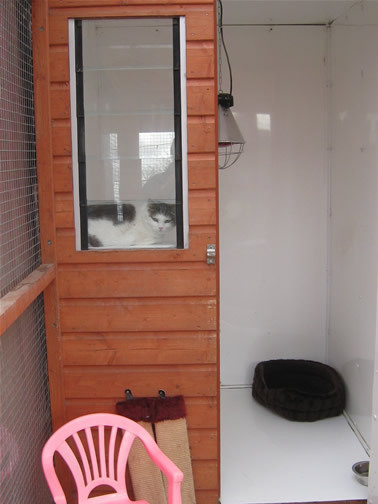 All units are insulated to keep your cat warm and cosy. Sneeze barriers between each unit to protect your car while boarding with us. 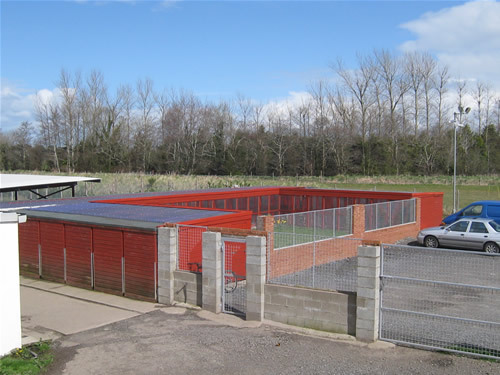 Individual Litter Trays in each unit. Scratching Posts provided to keep your cats claws healthy while on holiday. Vaccination certificate essential for your cat. NO Exceptions, sorry, but this is in your pets own interest.